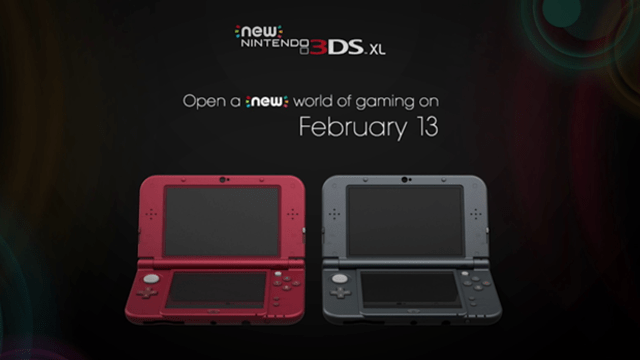 Nintendo announced today on their Nintendo Direct the New Nintendo 3DS XL, which will be released in North America on February 13th of this year with a suggested retail price of $199.99. The system is available in New Red or New Black. The upgraded 3DS has a faster processor that loads games and apps/menus quicker, improved battery life, better WiFi capabilities, and an added head-tracking camera feature to enhanced the viewing angles on the 3D feature and even has an auto-brightness option. The system also comes with a 4 GB Micro SD card pre-installed. The New Nintendo 3DS XL also features a C-Stick, which functions the same as the Circle Pad Pro attachment. It can be used in any Circle Pad Pro supported games, like Resident Evil Revelations or Steel Diver: Sub Wars. It also utilizes its own Near-Field Communication (NFC), which is the same tech found on the Wii U gamepad that scans amiibos. It will not have an AC adapter included, as the system uses the charging adapter from DSi to the present original 3DS XL. Not only that, not one, but two new bundles were announced for Monster Hunter 4 Ultimate (Game will be pre-installed) and Legend of Zelda: Majora’s Mask 3D (Europe gets the game pre-installed with North America having the game sold separately only), with both games utilizing the new features on the New 3DS XL, like the C-stick for the full rotating camera. Both bundles will be released on February 13th of this year, alongside the regular New 3DS XL and their standard games releases. The suggested retail prices will have the Monster Hunter 4 Ultimate bundle being at $229.99, and the Majora’s Mask will be at $199.99. Another thing to note is that the Monster Hunter 4 Ultimate bundle will be GameStop exclusive in North America, while in Europe, will be widely available across retail stores. 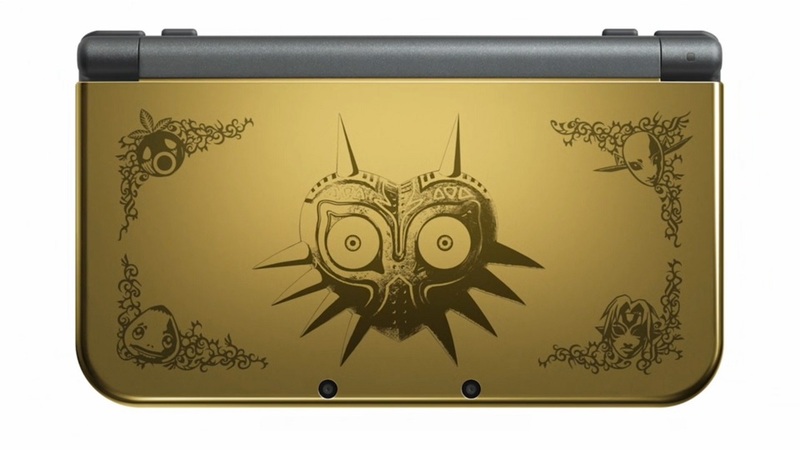 *Majora’s Mask New 3DS XL Bundle is now sold out online, but may be available for pre-order in-store. Call before making the trip!